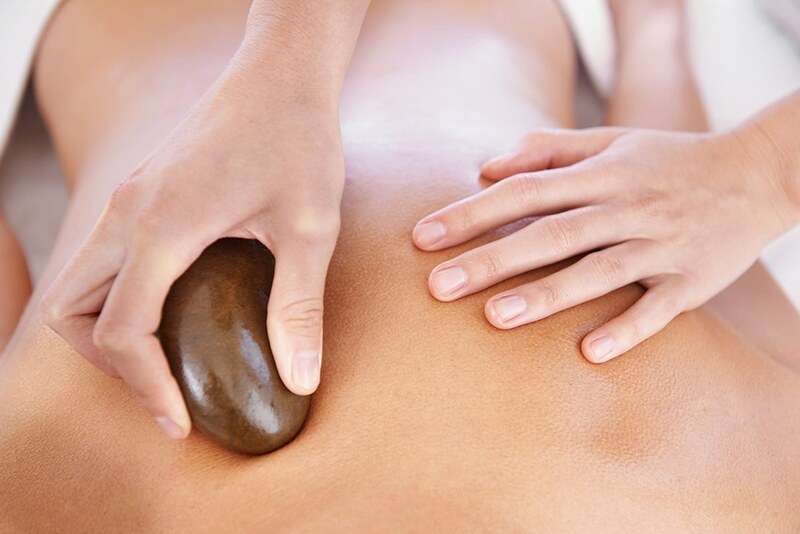 Basalt stones used in Hot Stone massage are mineral rich and highly effective at retaining heat and therefore ideal for the therapist to use during the massage utilising the warmth to deeply penetrate the muscle tissue to relax and soothe. Combined with the relaxation an Eve Taylor facial to enhance the whole body balance, enjoy the moisturising, hydrating products and relaxing aroma of the essential oils within all Eve Taylor products. Sanity starts your massage face down working the stones over your back using a soy and wheatgerm oil, warming the back muscles, using the stones to tuck, knead and soothe over the back providing a lovely warmth, before placing a towel over your back, repositioning the stones (stones should never make direct contact to the skin unless in a massage movement) and another towel to envelope your back with warmth. While your back is soaking in the warmth Sanity will finish the back of your legs focussing on the calves and hamstrings will be worked with the stones, checking for tightness along the side of your legs to fully release off tension. You will be asked to turn onto your back and a lavender scented silk pillow will be placed over your eyes so you can totally relax while your quad muscles, shins and feet are worked. Lastly moving to the shoulders and neck using trigger stones to get into any knots and tension within the neck and trapezium areas, and moving stones down the upper arms to target and soothe off the biceps and triceps. This Indulgence treatment ends with the Eve Taylor facial where you will be pre-cleansed with Camelia oil, second cleanse with either the Soothing, Balancing or Purifying range from Eve Taylor (dependant on your skin type) utilising the facial massage cleansing brush before an application of toner to close the pores and move onto the exfoliation step. Dependant on your skin type there are two options for exfoliation – bamboo grain or fruit acid both are very beneficial and after cleansing Sanity will assess skin and decide which is best for you. Once skin has been exfoliated you will then be treated to an application of hydration serum which will sit underneath an Aloe Vera and Camelia masque for 15 minutes while enjoying a hand massage. Lastly finishing off with an application of vitamin C serum, seaweed based lifting eye gel with algae extracts help moisturise and firm the skin. Seaweed helps reduce puffiness while Sea Lavender moisturises and improves skin quality and moisturiser (multiple choices of moisturiser and will be discussed at time of application).